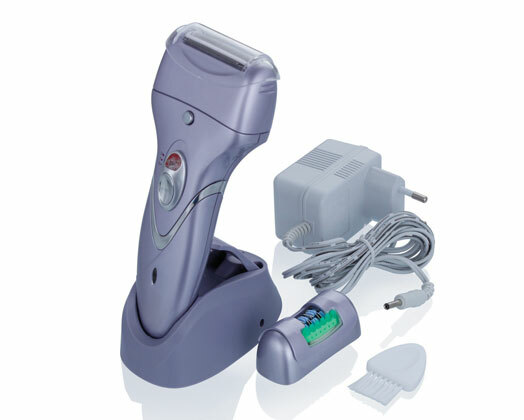 2 in 1 rechargeable epilator / shaver. 2 head attachments and 2 speed settings. Storage stand, storage pouch and cleaning brush included.